A shiny piece of blue glass, edges worn smooth by years in the sea. A grey pin-feather. A purple 5¢ stamp. A lump of amber with inclusions: bubbles, a tiny insect. Even the word caboodle itself is part of my collection. Tangible objects, these, each infused with my memories and feelings. Each item means something more than what it is. More than just “things”, they are “concepts”, too. RECOVERY n. (pl. –ies) 1 the act or an instance of recovering; the process of being recovered. 2 the process of overcoming an addiction to drugs etc. 3 the process of recovering from (mental) illness. my recovery that I would not be “in recovery” if I was not writing. It is as important as the carefully-concocted drug cocktails, and the mental health team check-ins, and the talk-therapy, and the cognitive-therapy, and the RT and OT groups, and the caring of others, both professional and layperson. Writing is about more than just teasing apart the knotted ball of blue yarn that is me. It`s more than artistic self-expression, and rediscovering my creative self. It`s more than an aspect of my physical healing, in tandem with my emotional healing. It`s more than re-hard-wiring my brain, and more than placing my historical suffering in context and learning how to keep from traumatizing myself again. It`s so much more that I almost don`t have the words to encompass it, and have to work especially hard to achieve my goals, which include communicating with others across the vast gulfs between our incredible one-of-a-kind minds, and our briefly intersecting lives. The mental process of writing itself is a recovery activity that is compelling and fascinating to me. Using the wingnuts, flanges and bolts of nouns, verbs and adjectives (etc.) to construct phrases, sentences and paragraphs that make sense –it`s like playing with Lego: the possibilities are endless. Like a well-run RT or OT group, writing is engaging, enjoyable, challenging, and even self-instructive. And having a tangible “object” in my hands afterwards is incredibly satisfying. When writing, I feel fulfilled – but never satiated, and always want (need) to create more; to build and carve and cast new work out of the bricks, wood and metal (experiences, feelings, and memories) in my mind`s workshop. Copper, cedar and bronze, for some reason, are my favourite materials. Participating in this “group” is great fun and serious, hard work. Facilitating it at the same time – even though it`s a group of one, mostly – is even more exciting and adds another layer of complexity to an already confusing, byzantine art. Through my writing I focus on what`s happening now in my life, and in my environment, relate it to what`s happened before, add a theme to be explored (usually around a topical nucleus of mental health), and manufacture an artifact “out of airs and mists” and reality for others to experience. And, if I have used the right washer with the right bolt, and assembled this to that in the way that does not contradict the laws of writing, which, like physics and math, are set (but, unlike them, are infinitely more malleable, and, magically, more unconstrained when used correctly) then I have succeeded. than I sometimes am in person, when I`m uncertain of my place. Not a flag-waver, writing is my cri de coeur against being pigeon-holed and labeled as “sick, crazy, lazy, and not contributing to society” simply because I don`t do the “9-to-5 dance” or heave boxes around in a warehouse. Writing is my contribution. It`s “music”, and “painting”, and “flipping burgers”; it`s “selling houses”, “fixing leaky pipes” and “driving a cab”. It`s still more… It`s an expression of my love and affection for those who know me, and respect for you, who know me only by my craft. Because I am recovering I was able to write a children`s story full of fun which did not need to include back-themes about mental illness and recovery. “THE GREAT SWEET BLISS STINK-OFF” was published last year on rainbowrumpus.org. It was a delight for me to compose. For, in revisiting my childhood, I found something incredible that I thought was lost forever among the shadows and pain: the wonder of childhood itself. And my love of caboodle. This entry was posted in Mental Health, Recovery. Bookmark the permalink. 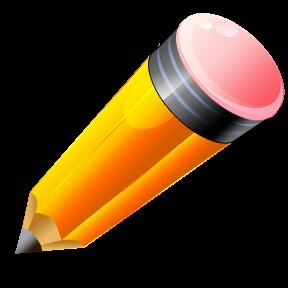 The pen is mightier than the sword!Great therapies–writing !Keep up your good works! Write on, write on, Dale. To everyone else, make sure you read the Great Bliss…out loud. It is a great read.